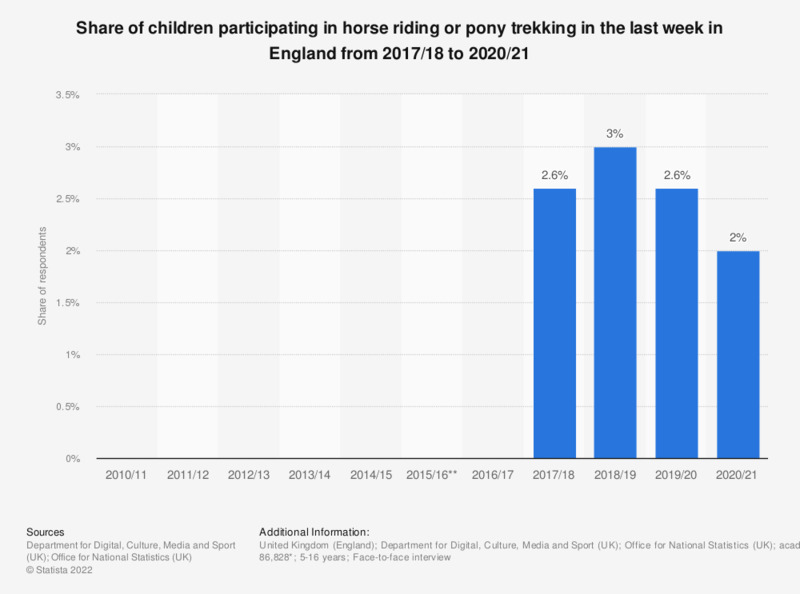 This statistic presents the share of children who recently participated in horseback riding in England, according to annual surveys conducted between 2010/11 and 2017/18, by age group. Over this period, the proportion of children taking part in horse riding has been relatively constant. In the period 2017/18, 3.7 percent of the children aged between 11 and 15 had participated in horse riding or pony trekking in the 4 weeks prior to the survey. To what extent do you agree or disagree that technology such as tablets and smartphones makes it more difficult for families to be physically active together? To what extent do you agree or disagree with the statement 'I would like to do more exercise than I currently do'?